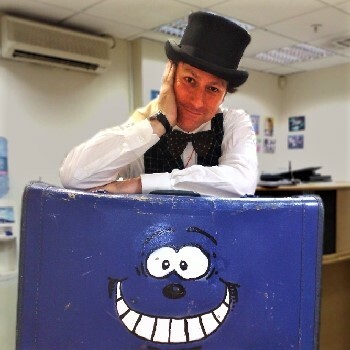 "The Family Magician for events and parties in London, Essex and across the UK"
Butlins, Chessington World of Adventures, Haven Holidays, Harrods plus fun days, fetes, parties and events across England, Scotland and Wales. 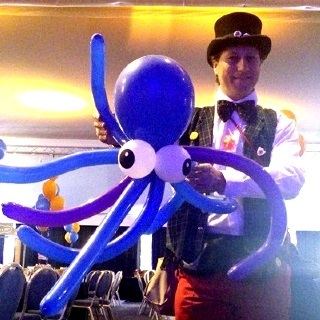 Top Family Magician THORN entertains at family events and parties across the UK. 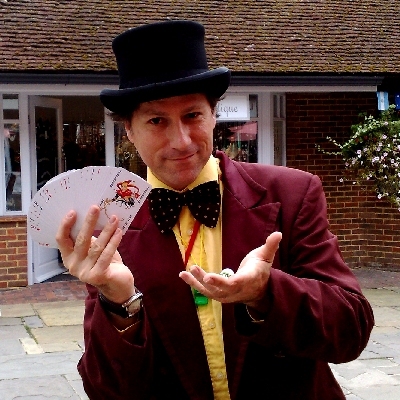 Performing close up, walkabout and table magic as well as stage shows of up to 45 minutes, Family Magician THORN astounds, amuses and amazes guests at weddings, schools, fetes and fun days, media events, shopping centres, holiday parks, cruise ships and private parties from London to Edinburgh and beyond. 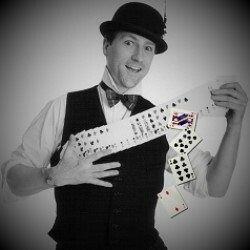 Multiple award winning family magician THORN is incredibly entertaining! His amazing magicians skills, slick showmanship, boundless energy and infectious sense of fun all combine to make him one of the most sought after family magicians in the country. Suitable for all ages, THORN is one of the few magicians that excells with the 'difficult' teenage audience, while younger children in his audience are amazed at his magic and comedy, and adults are amazed at his magic skills, wit and entertaining flair. This is why THORN is booked, re-booked and booked again by the top tourist attractions, holiday parks, cruise operators and event organisers across the UK and beyond. 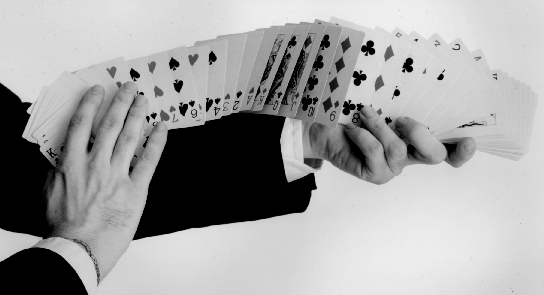 On cruise ships, at weddings, private parties, dinners, corporate events, fun days and events and celebrations of all kinds, the amazing and amusing family magic of THORN is much in demand. Not just because he is a highly talented close-up and stage Magician, but he's also a very likeable character, able to connect with, joke with and entertain anyone he meets. THORN has performed for clients as large as Microsoft and Virgin Airlines, in venues as prestigious as Harrods and the Houses of Parliament and in cities as far away as Dubai, Oslo and Atlanta. Yet he is also highly sought after closer to home across England, Scotland and Wales as a magician for weddings, office parties and private events. 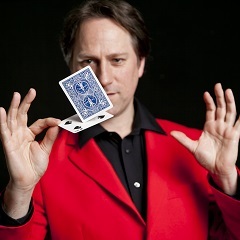 THORN is a member of The International Magicians Society and British Performers Equity. 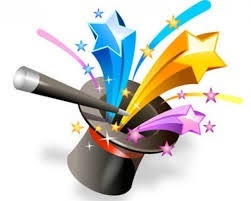 He's experienced and versatile enough to know what type of magic works best for any situation or event and will use his talent, experience and magical know how to create the best magical experience for your guests, whoever they are, whatever their age and whatever the event. no matter how large or small the event. 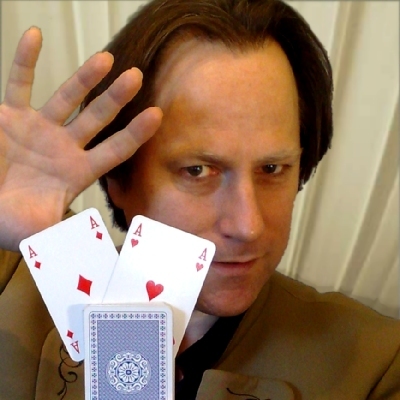 Family Magician THORN is a member of the International Magicians Society and British Performers Equity. "You brought a real sense of fun that lightened the mood. I wouldn't hesitate in recommending you."